Get ready to run this holiday season with custom Turkey Trot gear! Use the coupon code below to save! Use coupon code NOVCG at checkout and get 8% off orders of $40.00 or more! Offer expires 11/30/2015 at 11:59PM EST. Now that fall is officially upon us and winter is well on it’s way, the days are getting colder which can only mean one thing – jackets! 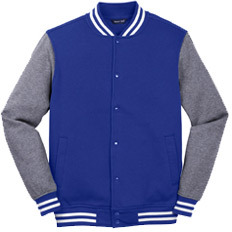 For most individuals, jackets can make or break your outfit being that they are too bulky or limited in colors. 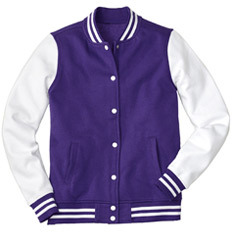 Customized Girl is here to save the day by offering custom jackets in Junior Fit, Unisex, and Ladies sizes making sure that you get the correct fit and a rainbow of colors that will surely match anything and everything. 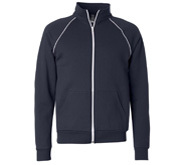 We have recently expanded our options in outerwear that now give people a variety of choices in fleece, pullover, button and zip up. All of our printing material is applied to each item at a very high temperature and pressure for a long lasting, vibrant look. 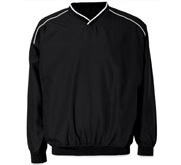 This is a great bonus if you have to keep washing that football varsity jacket once a week due to those muddy games. Kelley Wentworth of ‘Survivor: Second Chance’ Launches an Apparel Store on Customized Girl! When we were designing the storefront platform at Customized Girl, we wanted to create something totally open, free, and democratic. That means anyone can create an account, create a store, and start adding designs. Some of our stores are launched by young people, just starting to build their brand and launch their fashion lines. They are only starting to grow their audience. And some other stores are stores are started by established celebrities with big followings. We’ve welcomed Melissa Rycroft, from The Bachelor and Dancing with the Stars. Today we are welcoming Kelley Wentworth of ‘Survivor: Blood vs Water’ and ‘Survivor: Second Chance’. Welcome, Kelley! And welcome to all, because all are welcome! Kelley is currently the front winner to win Second Chance. There’s no better to way to support Kelley then with a custom Team Wentworth shirt! 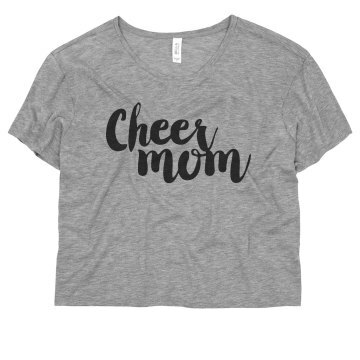 These designs are created by Kelley herself and is the ultimate way to let her know that you are cheering her on to the very end! We love that Kelley saw an opportunity to use our design center and storefront platform to create and sell totally unique t-shirts and tank tops. Her clean and simple “(hashtag) Team Wentworth” design is a great example of how anyone can take an idea and put it on a shirt. Kelley is still going strong this season so make sure to get your shirt now and to share your love with Kelley on her Instagram and Twitter! If you are interested in what custom apparel storefronts can do for you make sure to check out Customized Girl’s storefront FAQ. 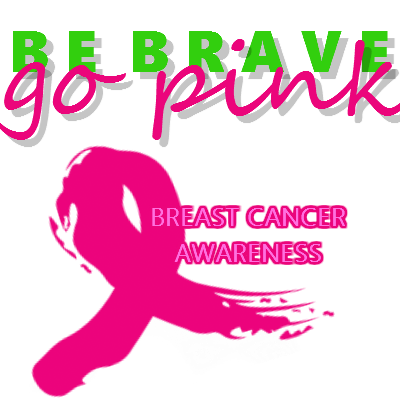 October is the official month for Breast Cancer awareness. While all cancers are extremely important to Customized Girl, we are particularly committed to spreading awareness and raising funds for Breast Cancer research. Customized Girl’s mission is to give women a voice to make their statements be heard through custom apparel. We offer the best breast cancer shirts online and have the largest variety in pink apparel to choose from that includes accessories. 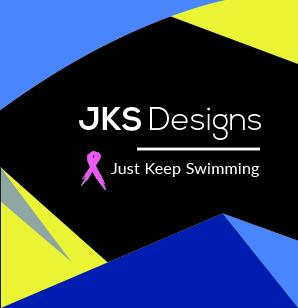 We want to help promote awareness for Breast Cancer and encourage others to join the movement by offering custom apparel storefronts. Our storefronts offer an excellent opportunity not only to spread awareness but to also raise funds towards their charity of choice. Every year at Customized Girl, we choose an organization that is dedicated to raising awareness for Breast Cancer and donate funds to their cause. For the past three years, we offered a promo code that donated 10% of orders to the Stefanie Spielman Fund for Breast Cancer Research. We have successfully raised over $10,o00 for this cause. This year we are excited to work with Miss Pink Pageant, a community to support breast cancer survivors and their families. 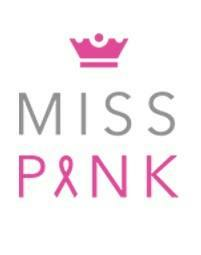 During the month of October all earnings from this breast cancer storefront will go the Miss Pink Pageant. What makes this year even more special is the addition of custom apparel storefronts. With this addition, some of our storefront owners have opened their stores with the sole purpose of bringing attention to breast cancer and donating their earnings to charities. We wanted to highlight some of those amazing storefronts and their one of a kind designs. Opening a storefront to raise awareness and funds is one the greatest and easiest ways to get your message heard. All you have to do is sign into your account or create one. Next you will be able to create a store URL, title, and description. You can also upload your own logo. The next time you save a design, you will see an option to share that design on your storefront. You earn royalties with each sale. It’s really that easy. Need help getting started? Let us know at CGstores@eretailing.com. We can help you setup, advertise, and even assist with art. 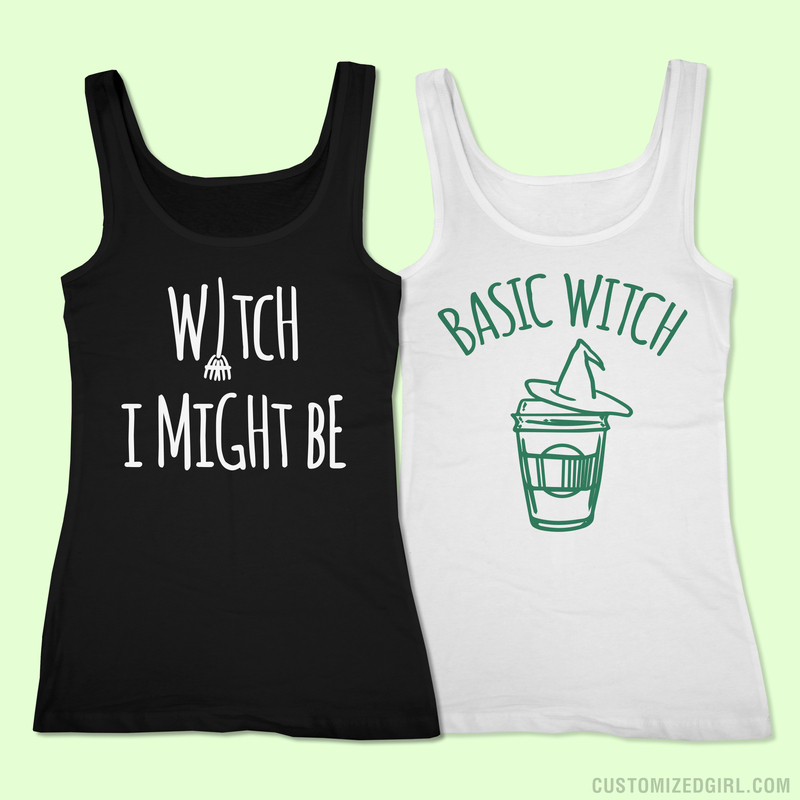 Check out our storefront FAQ and start designing! Halloween is the best time of the year to show off your creativity and stand out in the crowd. While trying to find a costume or outfit for yourself can be difficult, it’s even trickier to find something for you and your best friend. 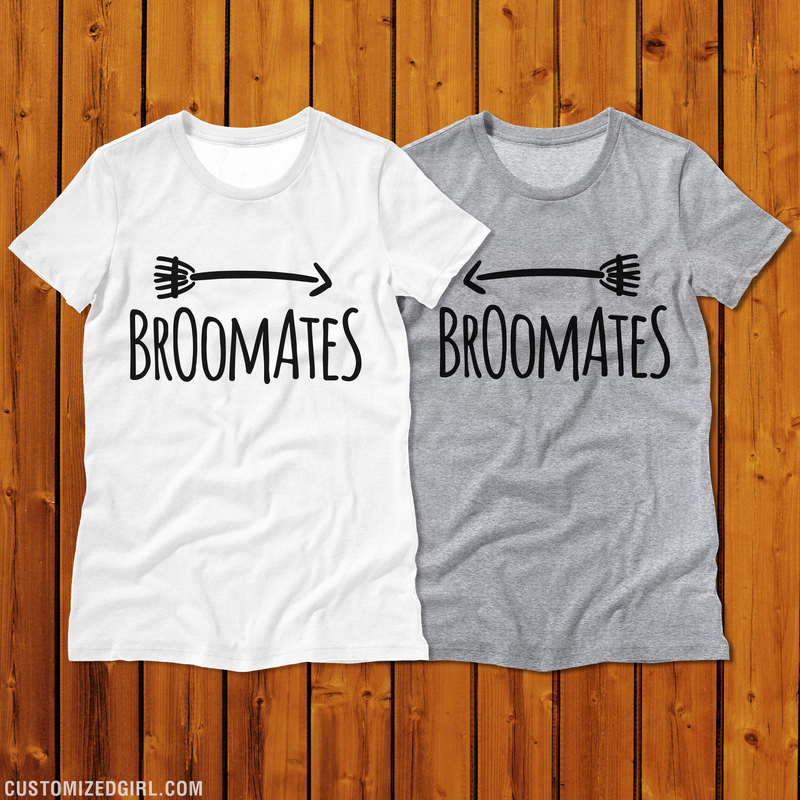 Whether it be trick-or-treating, a party, or a fun day at the pumpkin patch – best friends shirts are always a good idea. 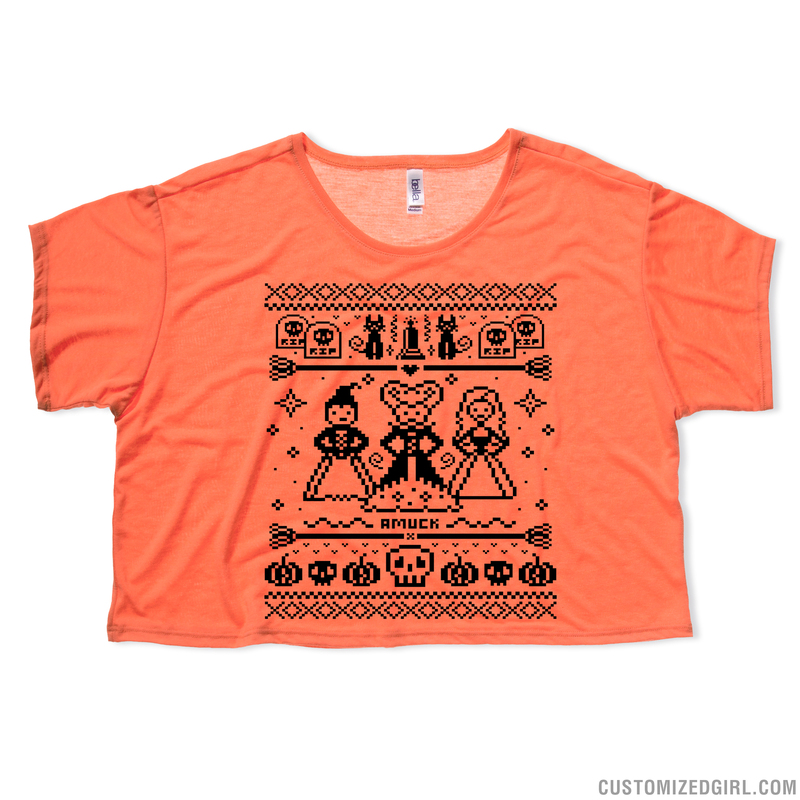 Our design team has put together some of the most amazing Halloween best friends shirts that will surely be the talk of any spooky event you attend. Don’t worry! 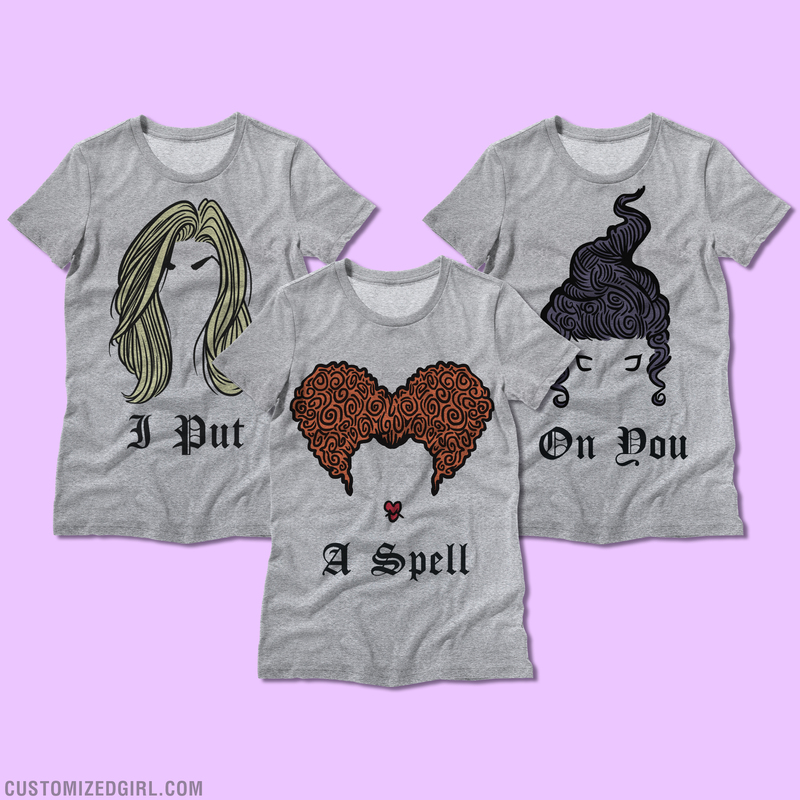 We even have designs for three bestest of friends. Not seeing exactly what you want? You can customize all of the designs in our gallery by simply clicking the “start customizing the design now” button. Our design center is loaded with great Halloween art like witches, ghosts, pumpkins, skeletons and much more! 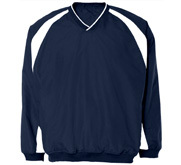 You can even switch out the product onto a tee, tank, or sweatshirt to achieve exactly what you are looking for. 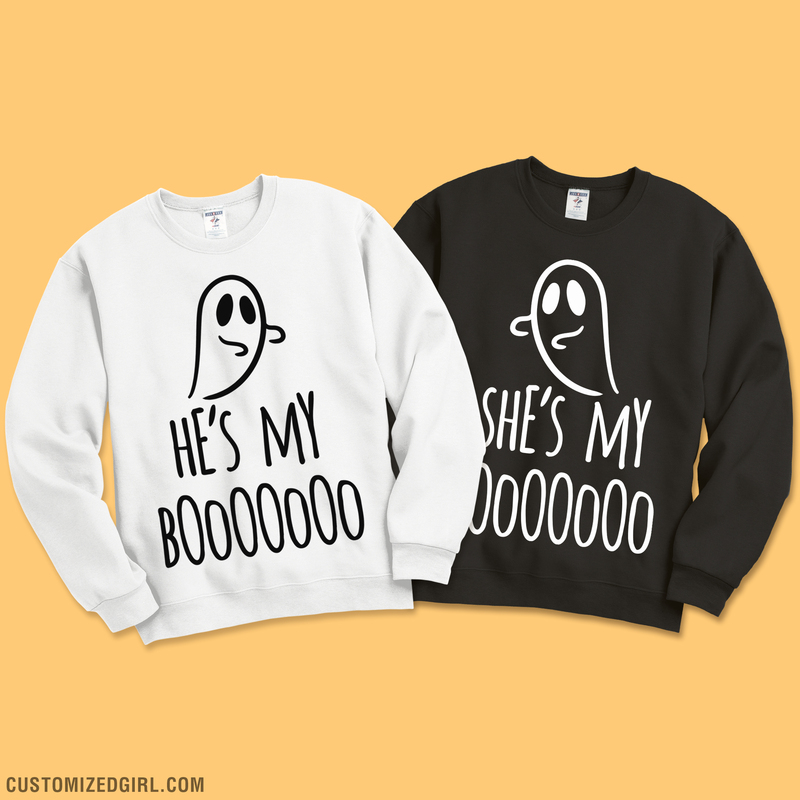 Maybe Halloween just isn’t your thing but matching with your bestie is. 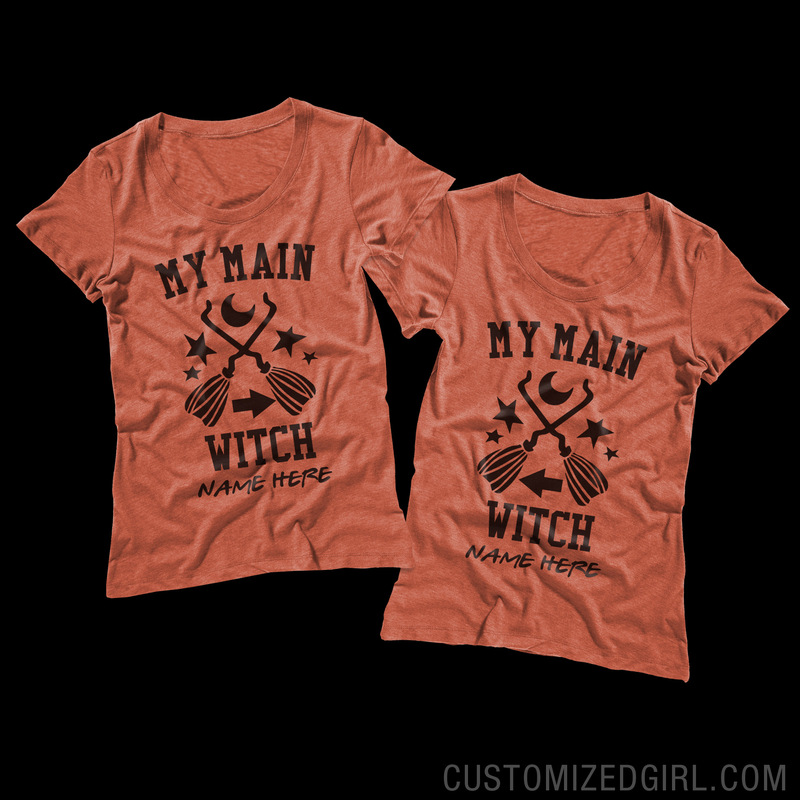 Customized Girl has the largest and greatest collection of matching best friend shirts that you will not find anywhere else. We love seeing pictures of you and your bestie rocking your matching shirts. Share your pictures with us on Facebook, Twitter, or Instagram @customizedgirl! October is officially here and that means Customized Girl will once again be in full force supporting Breast Cancer awareness month. Customized Girl’s main message is that women should be encouraged to express themselves and leave their mark on the world. We produce clothing and accessories that allow our customers to give voice to their ideals, opinions, jokes, and be statement makers. Since we are all about offering custom apparel for women, we feel that it is our duty to offer our customers the best breast cancer awareness shirts on the market. Breast Cancer effects everyone in different ways. Whether it’s someone you know or it is affecting you personally, we all are connected together to spread awareness and find a cure in the fight against breast cancer. One of the main fundraising tools for Breast Cancer are running or walking events. During these events, individuals put on their best pink apparel to spread a powerful message. Customized Girl wants to help everyone get their message out loud and clear with custom breast cancer apparel. 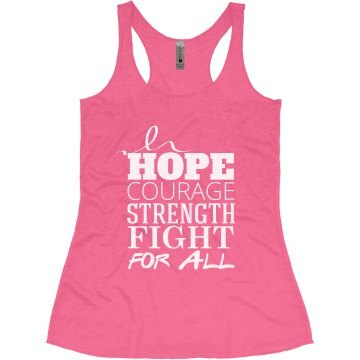 We offer the largest variety in pink tees and tanks but we also have amazing pink accessories that will make the perfect addition to your ensemble. Custom socks, custom hats, and custom shorts are just a few items that will be make your running outfit complete. 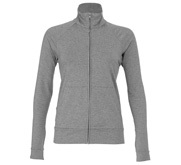 Customized Girl also offers a great selection of custom performance wear for those runners who need their gear to to wick away the moisture and and keep you dry throughout your race.